The Lead & Copper Detox Clay Bath may assist in eliminating Lead and Copper from the body. 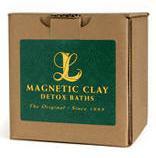 LL's Magnetic Clay bath kits are packaged in bulk & will administer 10 one cup baths per kit. Automobile exhaust, leaded crystal, lead based paint, ceramic glazes, water from lead plumbing, leaded gasoline, ground water, soldering and welding. Abdominal pain, chronic fatigue, attention deficit, addiction, anemia, clumsiness, confusion, learning disabilities, infertility, cognitive dysfunction, constipation, emotional instability, gout, migraine headaches, high blood pressure, insomnia, nervousness, loss of appetite, nausea, metallic taste, and more. While copper is used in a variety of applications, the most common sources of excessive copper absorption is through copper piping, ground water, and mineral supplements. 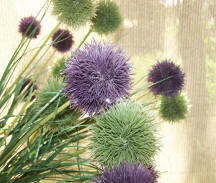 Artery hardening, diarrhea, digestive disorders, eczema, irritability, high blood pressure, hyperactivity, insomnia, liver and kidney dysfunction, nasal irritation, nausea, bitter taste, and more.